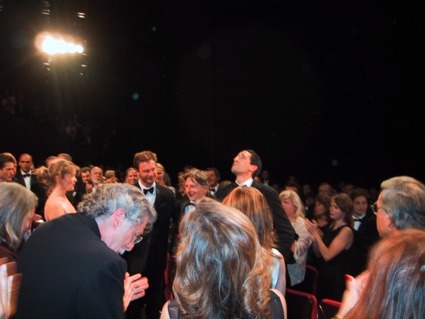 CANNES -- The jury at the 55th Cannes International Film Festival awarded its top prize (Palme d`Or) tonight to Roman Polanski for "The Pianist." LONDON -- On a night when no film won more than two prizes, the big winner at the British Academy Film Awards was "The Pianist," which picked up best film and best director for Roman Polanski. HOLLYWOOD -- Best Actor, Best Director and Best adapted screenplay - 3 Academy Awards (75th Oscars 2003) for The Pianist. WARSAW, Poland (AP) -- The son of the Polish Holocaust survivor whose story was the subject of Roman Polanski's Oscar-winning film "The Pianist" hailed the awards as a tribute to the victims of World War II. Academy members "appreciated the fate that befell my father, the total degradation of a well-known artist under war conditions," said Andrzej Szpilman, a physician who lives in Germany. "The awards are a homage to World War II victims," he said by phone from Los Angeles, where he attended Sunday's Academy Awards. The film tells the story of Wladyslaw Szpilman, a Polish Jewish pianist who survived the Holocaust with the help of Poles and a Nazi officer after he escaped the Warsaw Ghetto. ...While searching for food, Szpilman is stopped by a German officer who asks him, of all things, his profession. After Szpilman answers, the officer takes him to a piano where Szpilman plays Chopin. The German then hides and feeds Szpilman for the remainder of the war. The German soldier (...) Wilm Hosenfeld was "an ardent Catholic who abhorred Nazism." In his diary, he wrote that the war happened because "humanity had to be shown where its godlessness was taking it." Our "denial of Gods commandments" and our unwillingness to "love one another" condemned us to die, "innocent and guilty alike." This faith is why Hosenfeld "repeatedly risked his life to rescue others, Poles and Jews, from extermination." This is why these survivors, including Szpilman, tried to get Hosenfeld released from a Soviet labor camp, where he died in 1952. The only suggestion in the film of Hosenfelds real motivation is when he gives Szpilman his coat and tells him, "You must survive. God wills it." But without knowing about his faith, the audience cant possibly make sense of that remark. Why must Szpilman survive? Because he can play Chopin flawlessly or because he is made in the image of God? (...) the kind of heroism displayed by people like Hosenfeld and other "righteous Gentiles" was, more often than not, a function of their faith. Risking their lives to rescue others was a matter of love for neighbor, not a refined aesthetic. Szpilman knew this, and he pointed it out in his memoir. Unfortunately, his adapters were not as careful with the facts. As a result, a film that was supposed to shed light on the Holocaust leaves viewers in the dark about what they saw. And you might want to tell your friends who watch the Academy Awards the real story behind this filmvery different from the one they will see on the screen. I always knew that one day I would make a film about this painful chapter in Polish history, but I did not want it to be based on my own life. As soon as I read the first chapter of Wladyslaw Szpilmans memoirs, I instantly knew that The Pianist would be the subject of my next film. I knew how to tell it. It was the story I was seeking: in spite of the horror, it is a positive account, full of hope. I survived the bombing of Warsaw and the Cracow Ghetto and I wanted to recreate those childhood visions. It was also important for me to stick as close to the truth as possible and avoid Hollywood-style make-believe. I have never done, and dont intend to do, anything autobiographical, but making THE PIANIST I could use the experiences I went through. While visiting Cracow scouting for locations, my childhood memories resurfaced. What I felt, walking along the streets of the former Ghetto, proved that I couldnt shoot the film in Cracow. In addition to my own recollections, I could rely on the authenticity of Szpilmans account. He wrote it just after the war perhaps thats why the story is so strong, so genuine, and so fresh. He describes the reality of this period with surprising almost cool and scientific objectivity. There are decent Poles and evil Poles in his book, decent and evil Jews, decent and evil Germans. Before we began the shoot, we consulted historians and survivors of the Ghetto. I also showed the whole crew documentary footage of the Warsaw Ghetto. As for the actor to play Szpilman, I wasn't looking for a physical resemblance. I wanted a young actor who could slip into the skin of the character as I imagined him. It was important that he not be a household name. As the film was to be shot in English, we needed someone who spoke the language fluently. We organized a casting call in London "no experience necessary." 1400 people showed up. After the auditions, we realized it would be difficult to find someone with absolutely no experience, so we broadened our search to professional actors. I didnt find anyone in Britain, so we extended our search to the United States. 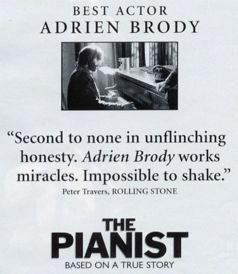 When I saw some of Adrien Brodys work, I didnt hesitate: he was THE PIANIST. 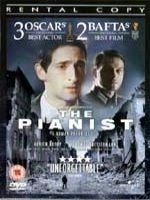 THE PIANIST is a testimony to the power of music, the will to live, and the courage to stand against evil. Roman Polanski: This book describes the events I remember from my childhood. For many years Ive been planning to make a film about this period, but I couldnt find the right material. Szpilmans book isnt just another chapter in the book of martyrdom we all know. In his memoirs, he describes these events from the point of view of a man who experienced them. The book was written shortly after the war and maybe this is why it is so fresh, unlike the accounts written later, 2030 years after the war. Reading the first few chapters, I knew it was going to be my next film. 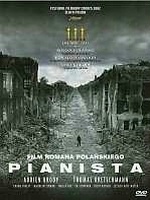 - While reading The Pianist, one gets the impression that Szpilman blames himself for not trying, after the war, to find the German officer who saved him. Do you agree with that? RP: There is a moment of contemplation in the film where Szpilman visibly feels a pang of regret, but I dont agree with you that one can sense this in the book. I think Szpilman was modest. In fact, he did everything he could to save Hosenfelds life. He even lobbied the communist authorities to help Hosenfeld, to no avail. Considering the postwar political sensitivities, it was a lost cause. But he managed to locate Hosenfelds family and stayed in touch. The family subsequently came to Warsaw to see Szpilman. I myself was in touch with Hosenfelds son Helmut during production, and he came to the films premiere in Poland. - Could you tell about your contact with Mr. Szpilman? Did you talk about the film, and if so what were his suggestions? RP: Mr. Szpilman didnt make any specific suggestions. He just told me how happy he was that his book would be filmed and that I would direct the movie. I only met him three times. The first time was in Los Angeles, in the 1970s, during one of his quintets tours. The second time was in Warsaw, in the press club, around 1990: I was lunching with friends, Mr. Szpilman joined us, and we ate together. I never thought that one day I would be filming his life story. When I decided to make the movie, I visited him with [THE PIANIST co-producer] Gene Gutowski. We had tea and talked about the movie. He was in his 80s, in perfect health and great spirits. We were all stunned when he died. 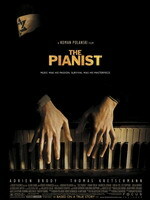 based on the book "The Pianist"
It´s a must see and one of the best films of the year and one of the ages. You´d think that Shindler´s List was the be all end all for holocaust films, but you´d be wrong. 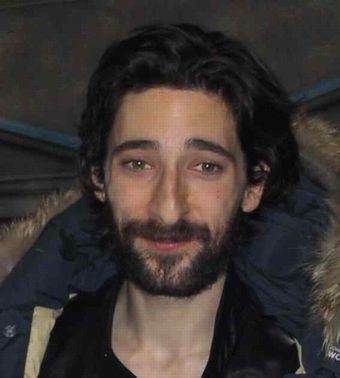 Adrien Brody stars as Szpilman and should be up for any and all awards possible, he´s just amazing. "It is hard not to be especially grateful for freedom after a film like this." "Refined and reserved but still haunting...one of the finer non-documentary films yet made about the deepest stain on twentieth-century history." 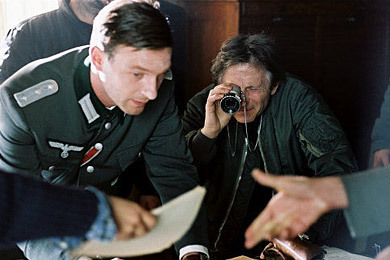 "Polanski has found the perfect material with which to address his own World War II experience in his signature style." "There is no denying the power of Polanski's film..."
"Jamás -jamás- podrán escuchar el Nocturno en D menor de Chopin sin recordar a este pianista y su historia... Una obra maestra." The Pianist examines a terrible time in world history with a personal eye, remarkably subtle and complex given that the film is centered on the horrors of the Warsaw ghetto." "The most moving and powerfully crafted film I've seen all year ... focused, absolutely devoid of sentimentality, and honest." "A worthy Holocaust drama and a welcome return to form for Roman Polanski." "Adrien Brody proves that Tom Hanks is not the only actor who can hold the screen alone for a prolonged period of time." "It's an unforgettable story, and a welcome return to form for Polanksi." "A different and emotionally reserved type of survival story -- a film less about refracting all of World War II through the specific conditions of one man, and more about that man lost in its midst." "This is the story of someone who lived to tell an unspeakable tale, told by someone with stories enough to do justice to its integrity." "A film not so much about horror than about surviving horror, The Pianist is an amazingly brilliant addition to the film documentation of the Holocaust." "It is a harshbut incredibly movingpiece of filmmaking, a work of genuine depth and sensibility that never loses its focus or compromises its integrity." "It is a tale full of silent fury, a profound portrait of survival within the most dire of conditions." "Authentic war movie featuring an impressive showing by lead Adrien Brody." "It will break your heart many times over." "One of the very few nondocumentary movies about Jewish life and death under the Nazis that can be called definitive." "Mr. Polanski is in his element here: alone, abandoned, but still consoled by his art, which is more than he has ever revealed before about the source of his spiritual survival." "This is one of Polanski's best films." "A great film of integrity and unforgettable power that leaves you breathless with gratitude." "With The Pianist, Polanski's strange genius serves Szpilman's remembrance and, in doing so, rescues his legacy from the blunder of much of the director's recent work." "The Pianist is a dark film, but it also a triumph, a story not just of survival, but of the spirit prevailing." "An unqualified success both dramatically and artistically." "Memorable as a showcase for Brody's superb talent." "One of the most straightforward views of survival that we've seen in this genre. It's not for everyone, but it is worth seeing." 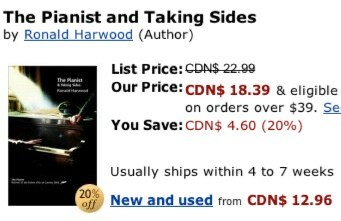 "During its last hour, The Pianist achieves something that approaches near transcendence." "THE PIANIST is Polanskis most personal work to date, and perhaps because of that, Polanski seems to have rediscovered the cinematic voice he had as a young man." "Not since 1974's Chinatown has Polanski reached such dramatic heights." 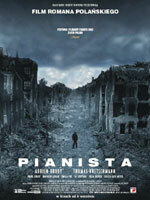 "In concentrating on one man's experience, The Pianist offers an unusually clear picture of the war and the times." "It may not be the prettiest movie out there, but it's definitely worth seeing." 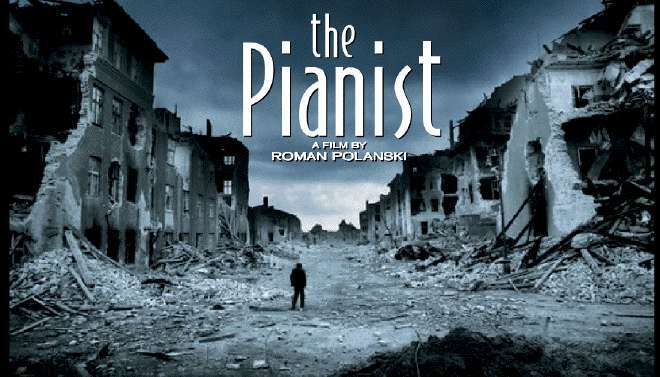 ...With The Pianist, Roman Polanski has not only given us the most recent motion picture to remind future generations of what happened under Hitler's regime, but he has also provided us with hope that his own career, after numerous dead-ends, may finally be back on track. The Pianist is a story told with the sort of detail that takes large historical truths and gives them personal, emotional impact. Polanski manages an understated style that keeps Szpilman fully human even as it underlines the extreme horror of what the man experiences. Rendered in harrowing detail, without completely demonising every German character, "The Pianist" rivals "Schindler's List" in terms of detailing the experiences of Jews during WWII. And in terms of production design it must also be one of the most accurately rendered. In an understated and tremendously powerful performance, Adrien Brody undergoes a dramatic transformation in his physical appearance. He displays an emotional range capable of expressing Szpilman's emotions through little dialogue. Brody's performance is astounding. 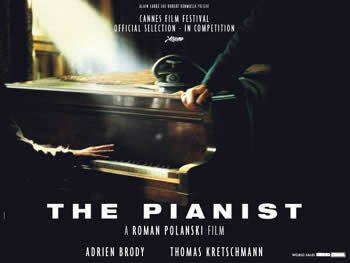 While "The Pianist" is very much Polanski's return to form, it's most memorable as a showcase for Brody's superb talent. The Pianist is one of the best Holocaust movies ever made. Therein lies the brilliance and the flaw of The Pianist. As a Holocaust film, it is extraordinary in its ability to put one of a mind of the blitzed: so deadened by the suddenness and meaninglessness of violence that the threat of it is at once a constant horror and no longer a surprise. Theres no reason to stop making films about the Holocaust simply because the story has been told so many times. This is a part of our human history we can and should never forget, and as long as there are new and different voices out there to tell the story, it will never be forgotten. The Pianist is lacking that voice but the power of the tale still remains. As extraordinary as Wladyslaw Szpilmans story is, Im certain the man who lived to tell it was equally extraordinary. 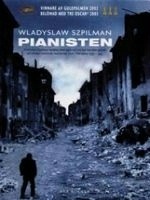 The Pianist is a dark film, but it also a triumph, a story not just of survival, but of the spirit prevailing. Whatever this work means to Polanski personally, it is also his finest film since Chinatown. It's been nearly 30 years since he achieved that kind of excellence, but it was worth the wait. 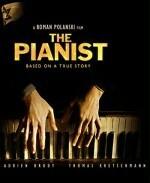 But what's most interesting about "The Pianist" is that Polanksi never lets the film get too sentimental. 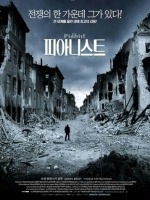 Instead, he shines a brutally harsh light on the devastation, putting viewers right in Szpilman's shoes as he scrambles through the ruins of Warsaw searching for crumbs of food. It's an unforgettable story, and a welcome return to form for Polanksi. 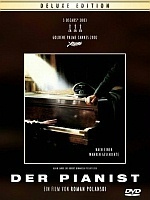 Paced by Polanski with restraint which only strengthens the power of the scenes of overt violence, "The Pianist" not only affords Brody the strong possbiility of an Oscar nomination but continues Polanski's reputation as a film maker who can evoke audience fears not simply from stories of the supernatural but from the all-too-frequent horrors that arise from our own, civilized world. Does the world need another Holocaust film? When the director is Roman Polanski, the answer is an unequivocal yes." ...Comparisons to Schindlers List will undoubtedly fly from the mouths of naysayers, with the claim that Spielbergs been there, done that. Theres a significant difference between the two films, however. Remember the ending of Schindlers List where Oskar Schindler (as played by Liam Neeson) tells his Jewish factory workers to thank themselves instead of him? Its an open acknowledgement that Schindler, not his suffering workers, has been the focal point of the film. Polanski's success with "The Pianist" keeps him in company with the likes of Martin Scorcese and Steven Spielberg as one of our most gifted living movie directors. And like the most uplifting motion pictures of our time, this isn't a movie formulated on facades or manipulations, but realistic intentions that ultimately expose the spirit and endurance of the human soul. To call the result one of the year's most impressive cinematic compositions would not completely do it justice. Roman Polanski's drama The Pianist, based on the memoir of a Polish Jewish pianist, Wladyslaw Szpilman, is a very personal view of the Holocaust, and its power comes from the partiality of its perspective. Polanski draws us into the perspective and the heart of a passionate artist who watches his family and his world crumble, and who clings to art for hope and sustenance during the world's worst nightmare. It's the most impacting work on the Holocaust I have ever seen ... yes, even more powerful and significant than Schindler's List. Schindlers List endures as a historical overview of the Holocaust. It shows us the tragedy and horror from all angles, like a collection of photographs and brief testimonies. Spielberg uses every trick in the book, artful and artificial, to make us feel the pain of those who suffered. For most of the film, he tries clinical re-creations; by the end he has given in to his trademark sentimentality, offering emotional breakdowns and simple platitudes. As if realizing he has lost his grip on reality, he thrusts real-live survivors in our face, to make sure we understand that this really happened. It's an effective and at times profound work, but its flaws show more and more with age. By comparison, Roman Polanskis The Pianist, based on Ronald Harwood screenplay of Wladyslaw Szpilmans journals, is focused, absolutely devoid of sentimentality, and honest. Instead of trying to shove the whole abhorrent affair down our throats, Polanski grounds his story in the experience of one man, and lets us experience the Holocaust as people really did -- in a state of semi-denial until the only way to survive was grovel, scrounge, rebel, or run. This film, the most moving and powerfully crafted film I've seen all year, will offer you a shocking portrayal of how the Jews in Warsaw found themselves trapped in an irrational and unstoppable death machine. It will also cause you to stop and think about the riches we take for granted: family, food, music, freedom. It is this sense of insinuating atrocity that makes The Pianist not only such a distinctive account of Szpilman's experiences, but a Holocaust movie with a potently Polanskian sensibility. Skirting both the melodramatic, self-congratulatory blockbusterism of Schindler's List and the retroactive outrage of Claude Lanzmann or Marcel Ophuls, the movie unfolds with an almost reportorial matter-of-factness. The impression it so successfully conveys is that of an on-the-ground eyewitness account, replete with a genuinely unsettling tone of almost bland inevitability. The Pianist grew on me, scene after scene after scene, right though the closing credits that saw the exit of only two of the 80 some-odd people in the screening I attended. And after looking at the imdbs list of 191 titles that have holocaust as a keyword, I think its safe to say that The Pianist is the best drama about the Jewish Holocaust that I have ever seen. And there have been some great films. ...a great film of integrity and unforgettable power that leaves you breathless with gratitude. Brody's subtle performance requiring little dialogue but much restraint is distinguished by his honest effort and lack of sentimentality he brings to the role; it was the best performance I saw this year. One has the feeling after watching the emaciated pianist hunker down, that he's the last civilized person left on the planet. The film had a stunning visual sense of the isolation and human depravity that were linked together with the pervasive mood of hopelessness displayed by the pianist. In the film's last shot, Wladyslaw is accorded an ovation by the Polish people after his piano recital. It took the film a long time to get to that point (148 minutes), but in an absurdly odd way I began to feel what the pianist was going through and how his music was the only sustaining force that kept him sane in such terrible times. The film felt like a grind, but I don't mean that as necessarily a bad thing as much as I mean that it provoked thought and penetrated inside one's own sense of human values and was more of an educational experience than anything else. For those who venture to see such a demanding work, the reward could be an unforgettable experience that allows you to see something else about the Holocaust just when you thought you saw it all. Roman Polanski's wrenching World War II magnum opus confronts the horrors of the Warsaw ghetto and the moral complexities of war -- and asserts the power of art, just maybe, to triumph over nihilism. There's no reason to stop making films about the Holocaust simply because the story has been told so many times. This is a part of our human history we can and should never forget, and as long as there are new and different voices out there to tell the story, it will never be forgotten. The Pianist is lacking that voice but the power of the tale still remains. As extraordinary as Wladyslaw Szpilmans story is, I'm certain the man who lived to tell it was equally extraordinary. ...Comparisons to Schindlers List will undoubtedly fly from the mouths of naysayers, with the claim that Spielbergs been there, done that. There's a significant difference between the two films, however. Remember the ending of Schindlers List where Oskar Schindler (as played by Liam Neeson) tells his Jewish factory workers to thank themselves instead of him? Its an open acknowledgement that Schindler, not his suffering workers, has been the focal point of the film. Polanski's success with "The Pianist" keeps him in company with the likes of Martin Scorcese and Steven Spielberg as one of our most gifted living movie directors. And like the most uplifting motion pictures of our time, this isn't a movie formulated on facades or manipulations, but realistic intentions that ultimately expose the spirit and endurance of the human soul. To call the result one of the years most impressive cinematic compositions would not completely do it justice. The world premiere of the "Pianist", the most recent film by Roman Polanski based on Wladyslaw Szpilman's novel, took place this Thursday in the Warsaw National Concert Hall. The film was presented in Krakow on the following day. Before the filming started, the director visited the House of National Remembrance located at the "Apteka pod Orlem" (the Drugstore under the Eagle) at the Heroes of the Ghetto Square (Plac Bohaterow Getta). "The Pianist", which was awarded the Golden Palm at the Cannes film festival, was greeted in Warsaw by a long standing ovation. During the official premiere numerous guests arrived, among them: Marek Edelman (the last living leader of the insurrection in the Warsaw ghetto), president Aleksander Kwasniewski, prime minister Leszek Miller, the Sejm Speaker Marek Borowski, minister of culture Waldemar Dabrowski. a. o. In Krakow, a few hours before the "sentimental premiere" at the Kijow movie theater had started, Roman Polanski appeared at the Hall of National Remembrance located at the old Apteka pod Orlem at the Heroes of the Ghetto Square ( the owner of which, Tadeusz Pankiewicz, during the war helped Jews imprisoned in the ghetto by the Germans). "Plac Zgody (the old name of the Square of the Heroes of the Ghetto) was the Umschlagplatz of the Krakow ghetto, where I found myself as a child, in a crowd. A Polish guard from the Construction Services helped me to escape. Thanks to him we can meet today," said Polanski, visibly moved. "I have to explain this to Adrian. 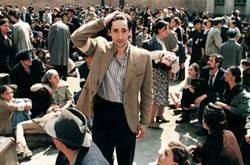 Please wait for us," said the film director to the journalists before strolling through the Square of the Heroes of the Ghetto with Adrian Brody, who played the main part in the movie. Later, at the Kijow movie theater, the official premiere had started; the guests included the president of Krakow Andrzej Golas, Jerzy Stuhr, Lew Rywin and Andrzej Szpilman - the son of Wladyslaw Szpilman. "The official world premiere took place in Warsaw, in Krakow we celebrate a sentimental premiere. Krakow is the place where I took my first steps on the stage; before that I played at the Teatr Mlodego Widza (the Theater of a Young Spectator) and participated in a radio play (Wesola Gromadka, The Jolly Group). Also here, at the Krakow ghetto, almost all members of my family were killed. The memories from those times were also an inspiration for this movie," said Polanski before the premiere of "The Pianist". WARSAW  Roman Polanski's life has been shaped by the maxim that art often has its roots in great suffering. After fleeing the oppressive rule of Communism in his native Poland in 1961, Mr. Polanski made two of his most powerful films, "Repulsion" and "Cul-de-Sac." Later, after Charles Manson killed Mr. Polanski's wife, the actress Sharon Tate, and their unborn child in 1969, he went on to make his bloody adaptation of "Macbeth." But it has taken him almost six decades to come to terms with another period of suffering: the time he spent in the Jewish ghetto in Krakow, which he escaped at age 6. He is now almost finished with a project that has led him to return to that era: an adaptation of "The Pianist," Wladyslaw Szpilman's dispassionate autobiographical account of surviving the Warsaw ghetto. Throughout the filming here, Mr. Polanski, 68, kept a low profile, shunning most publicity for the movie, which is being made in English and has been largely financed by France's Canal Plus cable television channel. It is produced by Gene Gutowski, an old friend, who produced Mr. Polanski's earliest films and is himself a survivor of German-occupied Warsaw. 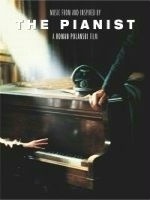 Friends and observers say "The Pianist" is a crucial film for Mr. Polanski. His recent work, including "The Ninth Gate," starring Johnny Depp, has failed critically and commercially. 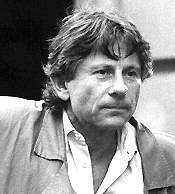 "For Polanski it is a question of his career," said Andrzej Kolodynski, the co-editor of Kino, a Polish film magazine. "If this is a flop, his career is finished. Poor Polanski." That may or not be true, but Mr. Polanski himself recognizes that the stakes are high. "It is the most important film in my career," he told Kino. "Obviously, emotionally it is a work which cannot be compared with anything I have done so far, because it takes me back to the times which I still remember." 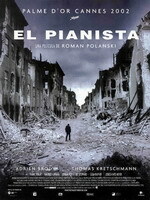 In "The Pianist" Mr. Polanski is dealing with a book that is stunning in its brutal simplicity. From Poland's defeat by Hitler's army in September 1939 to the gradual imprisonment of all of Warsaw's Jews in a starving, fetid ghetto, Szpilman describes not only the cruelty and degradation inflicted by the Nazis but also the horrific inequities among the Jews themselves. As shells fell on Warsaw, Szpilman, then a young Jewish pianist and composer, played the last live music  Chopin's Nocturne in C sharp  heard on free Polish radio before the German artillery destroyed the transmitter. Later, he tells how he survived, playing piano for scraps of food in a ghetto cafe where rich Jews passed their final hours. He escaped while on a work detail and hid in occupied Warsaw. At the war's end, Szpilman, who died last year at 89, returned to Polish radio and immediately wrote his memoirs. They were soon turned into a film, shot among the real ruins of Warsaw. Originally called "Robinson Warszawski" (Warsaw Robinson) it was retitled "Unvanquished City" by Communist censors who, among other changes, inserted shots of residents welcoming the Red Army. No original cut is known to exist. Mr. Polanski first learned of "The Pianist" when it was recently republished in Polish. (It was published in the United States by Picador USA in 1999.) "I wanted to make a film about the Holocaust for a long time," Mr. Polanski said at a news conference. 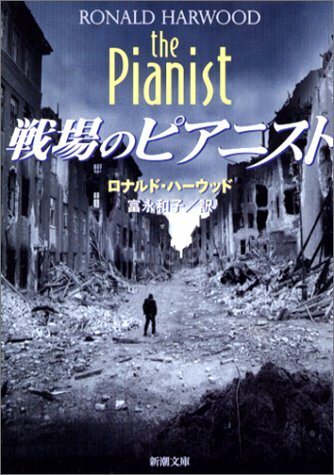 "Szpilman's book is the text that I have been waiting for, because `The Pianist' is a testimony of human endurance in the face of death and a tribute to the power of music and the will to live. It breaks lots of stereotypes and is a story told without the desire for revenge. Immediately after reading several of the first chapters, I knew it was the subject of my next film." Steven Spielberg offered Mr. Polanski the opportunity to direct "Schindler's List," but Mr. Polanski turned it down, Mr. Gutowski said, because he felt that filming in the remains of the Krakow ghetto would be too painful. "The Pianist" is filled with scenes familiar to Mr. Polanski, who escaped the Krakow ghetto through a hole cut in the barbed wire. The book opens with Szpilman's account of trying to rescue a child who was smuggling goods into the ghetto. Pursued by a German policeman as he was trying to slip back into the ghetto through a hole in a wall, the child became stuck. "When I finally managed to pull the child through, he died," Szpilman writes. "His spine had been shattered." Preserving the grittiness of this memoir's reality has been his greatest task during the filming, Mr. Polanski said. "I think the biggest challenge is the visual side of the movie," Mr. Polanski explained in a Polish magazine. "I want to avoid the shine that every film has, but on the other hand, I do not want to pretend to be making a documentary of that period." In the center of Warsaw today, only a half-dozen buildings remain from the wartime ghetto, so "The Pianist" was shot partly in the city's outlying Praga district and partly in the Babelsberg film studios in Germany, where large portions of the ghetto were recreated. The ruins of the ghetto, which was bombed by the Germans after the Jewish uprising, were filmed at a former Soviet Army base in eastern Germany, which Mr. Polanski had dynamited to create sufficient rubble. The film's cast is made up largely of Germans and Poles and a handful of other European actors. 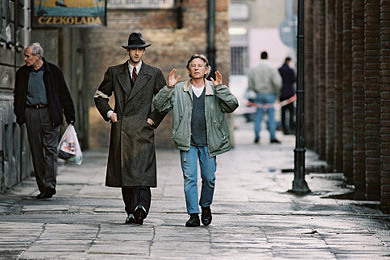 Adrien Brody, a young Englishman who starred in Ken Loach's "Bread and Roses," was chosen to play Szpilman. Mr. Polanski and Ronald Harwood, who wrote the script, put together a documentary from Nazi films of the ghetto and screened it for the extras and bit players to prepare them for their roles, Mr. Gutowski said. 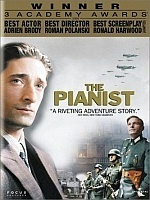 Some scenes in the filming of "The Pianist," like the Warsaw ghetto uprising, were so brutal that "there were many moments where Roman was visibly upset," he added. Mr. Polanski's return to his native country to film a Polish tale after nearly 40 years' absence is seen by many as a vindication of Poland's place in the world, and has been the talk of film circles and the subject of features in Polish magazines. At the Lodz Film School, where Mr. Polanski studied, he is regarded as an icon, and the places where he shot his school films are considered landmarks. It seems that the timing of "The Pianist" could not be better. In July, Poland's president, Aleksander Kwasniewski, apologized on behalf of his fellow Poles at Jedwabne, a village in northeast Poland where hundreds of Jewish residents were murdered by Polish townspeople in 1941. "I don't want to be cynical," Mr. Kolodynski, the film journalist, said, "but it's a good moment for a film about the Holocaust, because Jedwabne has started an enormous discussion in Poland of accounting with your conscience." 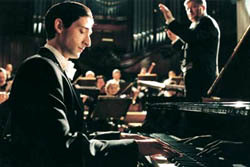 Adrien Brody - "The Pianist"
(CBS)Â "My dad told me, 'It takes 15 years to be an overnight success,' and it took me 17 and a half years," says Adrien Brody. The actor has performed in 21 films â€” playing everything from a punk rocker in "Summer of Sam," a union organizer in "Bread and Roses," a juvenile delinquent in "King of the Hill," a Jewish boy from Baltimore in "Liberty Heights, and psycho killer in "Oxygen." But it is his haunting portrayal of Holocaust survivor, Wladyslaw Szpilman in the film "The Pianist" that has made him a star and got him an Academy award nomination for best actor. "I was thrilled â€¦ itâ€™s still kind of hard to grasp, but itâ€™s beautiful," says Brody of his Oscar nomination. The film, directed by Roman Polanski, traces composer and classical pianist Szpilman's harrowing struggle to survive unspeakable loss, isolation and famine during the Nazi occupation and decimation of Warsaw, Poland. "I spent 12 to 17 hours a day, trying to inhabit a man who has not had any contact with anyone, who is deprived of everything â€” his loved ones and food and nurturing and his art and music and anything that would make him comfortable," says Brody. "And I tried to do that to myself. It becomes your reality." Preparing for the role, Brody lost 30 pounds during the six weeks before production began. And he gave up many materials possessions, such as his apartment and his car. Brody even isolated himself from his family and friends. "Thereâ€™s no comparison to what Wladyslaw Szpilman went through and the suffering that people during the Holocaust, or people/nations afflicted with famine are going through," says Brody. "But it gave me a much greater understanding of that. And you canâ€™t act that. I take the work very seriously." He says director Roman Polanski, himself a Polish Jew, provided inspiration. Polanski's mother died in a concentration camp in Auschwitz, leaving him alone at the age of seven. He later escaped Nazi-occupied Krakow, Poland. "He wasnâ€™t easy on me ever," recalls Brody. "He wasnâ€™t particularly kind to me, but he wasnâ€™t â€¦ he was never disrespectful regarding the work. I grew. Iâ€™m stronger, Iâ€™m tougher from Roman. Iâ€™m tougher, Iâ€™m not harder, Iâ€™m just tougher." Brody says he remembers one incident when Polanski challenged him. Brody, a 29-year-old who lives in Los Angeles, wasn't always a Hollywood kid. He has fond memories of his New York City roots where he attended aGuardia High School of Performance Arts. "I broke my leg in high school and I had to take a train with crutches," says Brody. "The only train that goes to my neighborhood is the 'J,' which is like the most ghetto train." He grew up in Queens, N.Y., as the only child of acclaimed photojournalist Sylvia Plachy and Elliot Brody, a public school history teacher. "There is something wonderful about having your mother and father there for you," says Brody. "Itâ€™s a fairytale. They met at summer camp. My dad was a fencing instructor. My mom was the arts and crafts counselor â€¦ Iâ€™m lucky. I knock wood every half-hour." His parents accompanied him to the Cannes film festival where "The Pianist" won the Palme D'or. "My parents saw it for the first time in Cannes," says Brody. "It the first time I saw it with an audience and it was my motherâ€™s birthday. And there were 2,000 people and we got a 20-minute standing ovation. I was crying, my mom was crying, my dad was crying and I looked around and almost everyone else was crying. It was one of those incredible, incredible moments." A moment magnified in part because Plachy's own life shares common themes with Wladyslaw Szpilman's life. She escaped the Hungarian revolution, buried under corn in the back of a truck. She and her parents left everything behind and lived as refugees in Vienna until they made it to America. "She is a real survivor and she is tremendously gifted and talented as an artist," says Brody. "She is the hardest working person I know." Brody says he now understands more about what his mother had to go through as a girl. "Only being able to take her little stuffed animal, and the only reason [Plachy] was able to take her stuffed animal is because her parents put the jewelry in the stuffed animal," says Brody. Knowing intense hardship as a child, Brody's mother encouraged creativity, imagination and fantasy in her young son. Perhaps, it may be the reason why, at the age of five, he proclaimed himself a magician. "I was an amazing Adrien. I may still be at times," says Brody. "In retrospect, I see that was my first performance. And you know a lot about magic is not just the trick, itâ€™s the pattern. Itâ€™s the delivery. Itâ€™s the presentation. And this is why youâ€™re going to be amazed. At the age of 10, Brody was performing for birthday parties, and he made pretty good money â€” $50 a gig. His price may be a bit pricier today, however. Since his days as a teen, Brody has pursued his other love, Hip Hop, wherever he could. "I did a track on the soundtrack of, "Restaurant," says an excited Brody. "Itâ€™s the last track on the album. Itâ€™s hot." Brody says he relishes immersing himself in characters that are passionate about any music. "I didnâ€™t grow up listening to punk rock music," he says. "I was a Hip Hop junkie, fanatic." In Spike Lee's Summer of Sam, he plays punk rocker, Ritchie. "I didnâ€™t know anything about punk rock music and I learned about it," Brody says. "I learned about the culture. I had guitar lessons every night. [I] Went home, practiced my guitar, learned my lines, played a little guitar." And to understand Wladyslaw Szpilman, he had to understand his music. He says he loves classical music because his father listened to it at home. "I think probably one of the first albums I had was Tchaikovsky and then the next one was Pink Floyd, The Wall, and then it was Kiss and then it was Run DMC," remembers Brody. "It was a pretty eclectic mix." For "The Pianist," while on his starvation diet and becoming weaker everyday, Brody mastered the Polish dialect and took intensive piano lessons to learn the parts of the pieces filmed. "I learned to play Chopin," says Brody. "I donâ€™t read music, really." He says he can't believe it is him playing the piano, but it is one of his favorite moments in the film. These days, Brody says he wants to try his hand at producing music.
" I would like to collaborate with artists and Iâ€™m finding myself in a better position to do that on a daily basis," says Brody. "Iâ€™ve met a lot of really great people within the music industry who have been very encouraging and who really responded to my music, which is wonderful." In the meantime, he's focused on acting and next week's Academy Awards. And his date will be his mom and dad. "They should share it because theyâ€™ve been there for me more than anyone else has," says Brody. And with his newfound star status in Hollywood, he's looking to play a new kind of role. "I would love to do a love story," laughs Brody. "A great love story with a great actress. Iâ€™d like to go off and do something in a warm place â€¦ I am due." Â© MMIII, CBS Broadcasting Inc. All Rights Reserved. The scenes refuse to fade and continue to haunt the memory: An old man trembling with cold yanks a bowl of hot soup from a woman, only to have it fall to the ground and spill. An SS officer calmly shoots a boy in the head because he was too terrified to salute. Nazis forcing Jews in Warsaw's ghetto to dance for their amusement. With this film, now being shot in Warsaw, the Polish director Roman Polanski is for the first time tackling the Holocaust. 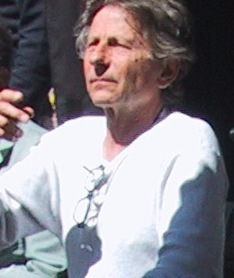 It is a topic Polanski has so far avoided in his film career, giving up the opportunity to direct Steven Spielberg's Schindler's List as it too closely resembled his own boyhood. Polanski was able to slip out of Krakow's ghetto and pass himself off as a gentile, but his mother was murdered at the Auschwitz death camp. But the story of the Polish-Jewish pianist Wladyslaw Szpilman offered Polanski the chance to avoid playing to stereotypes and present the Holocaust not only its full horror, but also full complexity. "I was searching for a subject from that period that was accurate without being too simple," Polanski said in a recent press conference in Warsaw. "After reading several chapters (of Szpilman's bestselling autobiography) I knew I had my subject," he said. Szpilman was not only a witness to the collapse of independent Poland in September 1939, he created one of its most poignant symbols: as German bombs fell and knocked out Polish radio, Szpilman played the Nocturne in C sharp minor by Fredryk Chopin, Poland's greatest composer, in a live broadcast. Along with half a million other Jews Szpilman was herded into a ghetto capable of holding 100,000 people. 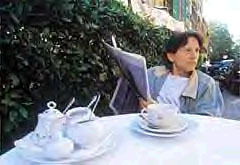 The autobiography and film recreate the atmosphere of the cafes where Szpilman played to earn money to feed his family. And also the suffering of residents, who, walled-off from the rest of the city, died of hunger, exposure and disease. Szpilman recounted the brutality of the Nazis, describing the sounds of a chair and the old invalid in it hitting the pavement after being thrown from a fifth-storey window. But in the end it was a German officer, who appreciated his music who saved Szpilman, hiding and feeding him in Warsaw's ruins. A keen and honest observer, Szpilman also recounted the deplorable actions Jews and Poles were driven to in order to survive. 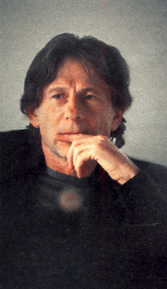 "Szpilman was objective, not sentimental," said Polanski. "He showed Poles who were good and those who were wicked, Jews good and wicked, Germans good and wicked. "What is most important is that the book is very positive. After having read it, one is not depressed because it is full of hope. At the end we are convinced that human nature, despite everything, is good." In order to give the film a realistic feel, the director of Chinatown returned to Warsaw to shoot part of the film. None of the ghetto remains. The Nazis flattened it following an uprising by the Jews but the eastern half of Warsaw escaped the war more or less intact. The old Praga neighborhood has changed little since the war, with narrow streets, old street lamps and tram lines, and the occasional bullet-hole and pre-war advertisement still visible on some buildings. "It is not a fictionalized account, it is very close to reality, almost a documentary," said the film's chief make-up artist, Didier Lavergne. Some of the characters in the film are not being played by professional actors, to give the film a rougher feel. 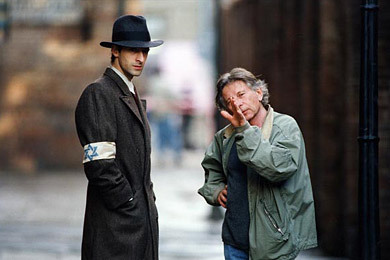 Polanski originally wanted an amateur to play Szpilman, but he eventually settled on American actor Adrien Brody, of Bread and Roses and The Thin Red Line. Shooting of the 38 million euro (33 million dollar) film is due to be completed in November. It's probably just as well that director Roman Polanski didn't attend Wednesday's L.A. benefit preem of "The Pianist" at the Loews Cineplex Century Plaza: The sound system in the main theater broke and the audience never saw the film. 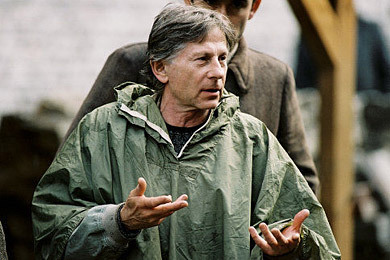 Andrzej Szpilman , who is the son of the main character, said that because "The Pianist" is a film where the tone of the musical score is so crucial, Polanski had come to the Warsaw preem three days early for sound checks. He described the director as a perfectionist. "I'm afraid to think what he would say," said Szpilman , regarding the sound problems. "His language is very powerful, especially in Polish." A glittering night for Hollywood and the elite of Los Angeles Jewish cultural community came to an abrupt halt Wednesday evening when the North American premiere screening of Roman Polanskis Holocaust drama The Pianist had to be canceled because of technical problems with the theater sound system at Loews Cineplex Century City. The cancellation proved an embarrassment for Focus Features, the tony new art house label of Universal Pictures, which had invited hundreds of guests to attend the screening as a benefit for the Los Angeles Jewish Symphony and the National Foundation for Jewish Culture. About 650 moviegoers who gathered in the main theater did not get to see the film, although another 150 guests seated in a nearby theater did watch the movie as the sound system in there worked perfectly. Afterward, all the guests gathered at the Century Plaza Hotel across the street to hear a free performance by the symphony of a work called Piano Concertino by Wladyslaw Szpilman, who was the subject of the movie and who wrote the book on which Polanski adapted the film. 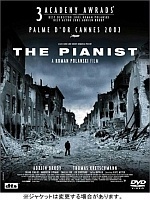 The Pianist this year won the Palme dOr, the top prize at the Cannes Film Festival. Thursday, the studio and the charities scrambled to contact each guest who did not see the film and invite them to attend private screenings before the films Dec. 27 U.S. release. We are grateful that Loews has proffered a substantive and genuine apology and is working closely with Focus Features to make sure that everyone who attended [Wednesday] nights event will be able to see the film in the best possible circumstances, David Linde, the co-president of Focus Features, said in a prepared statement. Loews officials were unavailable for comment. The gala evening got off in typical Hollywood fashion as a gaggle of celebrities such as Jack Nicholson, Lara Flynn Boyle, Fran Drescher, Martin Landau, and the movies Adrien Brody and Thomas Kretschmann turned out for the event. But inside the theater, things went haywire. After it took nearly an hour for guests to take their seats, representatives of the studio, the symphony and the foundation walked to the microphone only to find that their speeches were garbled by a faulty sound system. One of those addressing the audience was Andre Szpilman, the son of Wladyslaw Szpilman. By 8:15, a studio official announced that the film would not be shown that night but everyone was invited to the reception and concert. Wayne Hinton, executive director of the Los Angeles Jewish Symphony, said this was his groups first film premiere and they wanted it to be a memorable event. I really feel badly for Andre Szpilman, Hinton said. I know how much he was looking forward to the premiere. Hinton said that anyone who left without seeing the movie will be offered complimentary tickets to the symphonys season opening concert Sunday at 7 p.m. at Valley Beth Shalom on Ventura Boulevard in Encino. "When I wrote 'The Pianist,' " he (Ronald Harwood) says of his 2002 Oscar-winning effort on the Holocaust-era film that also garnered an Academy Award for Polanski, "I included a character of a good German," a Nazi who came to the aid of the real-life protagonist, Wladyslaw Szpilman (portrayed by Oscar-winning Adrien Brody). But the criticism hardly tarnished the gold of his Oscar: "I am devoted to historical stories" showing all sides, he states. ""When I wrote 'The Pianist,' " he says of his 2002 Oscar-winning effort on the Holocaust-era film that also garnered an Academy Award for Polanski, "I included a character of a good German," a Nazi who came to the aid of the real-life protagonist, Wladyslaw Szpilman (portrayed by Oscar-winning Adrien Brody)." This is not quite true. My father Wladyslaw Szpilman wrote "The Pianist" in 1945 and the book was published in 1946 and subsequently in 1998 in Germany, England and 1999 in the USA by Picador Publishing House. The German officer- Wilm Hosenfeld was a real hero. He saved my father and it was portrayed by my father in his book as it really happened during the war. Mr Hosenfeld was not only an "included character" by Mr Harwood, but deserves as one real existing German hero who saved Jews more notice, then that. 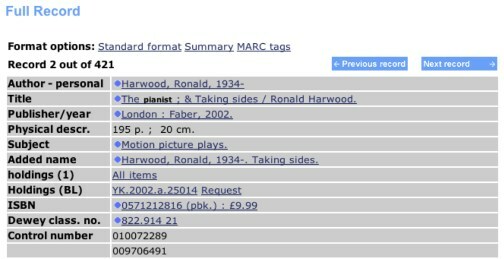 And by the way: Mr. Harwood did not write "The Pianist", but elaborated the bestselling autobiographical book "The Pianist", written by my father Wladyslaw Szpilman, to the screanplay with the same title. 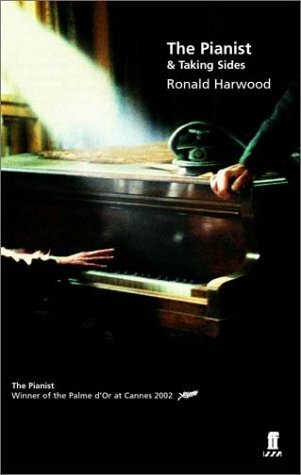 A book entitled The Pianist by Ronald Harwood has recently surfaced on the market. Ronald Harwood was the South African writer of the movie screenplay and Oscar winner for adaptation of the book. 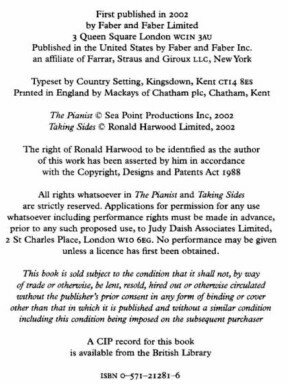 that fact is not even mentioned on the cover, and that there was no written agreement Szpilman-Harwood allowing Harwood a printed book release. The question here is : Does Mr. Harwood really need that?